Such a delightful way to display pincones. I just love this idea so much. Hope you have a great weekend. 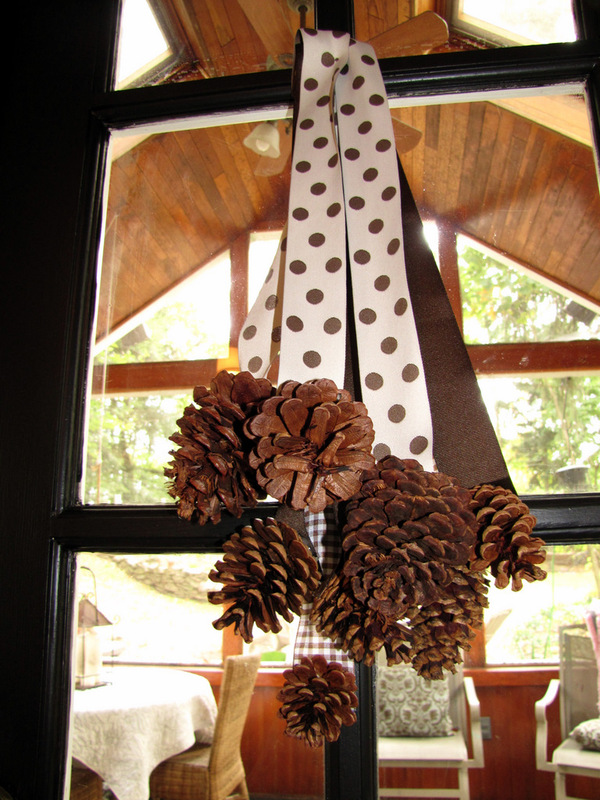 I'm a stager and we love to decorate with pinecones and we paint them sometimes too. 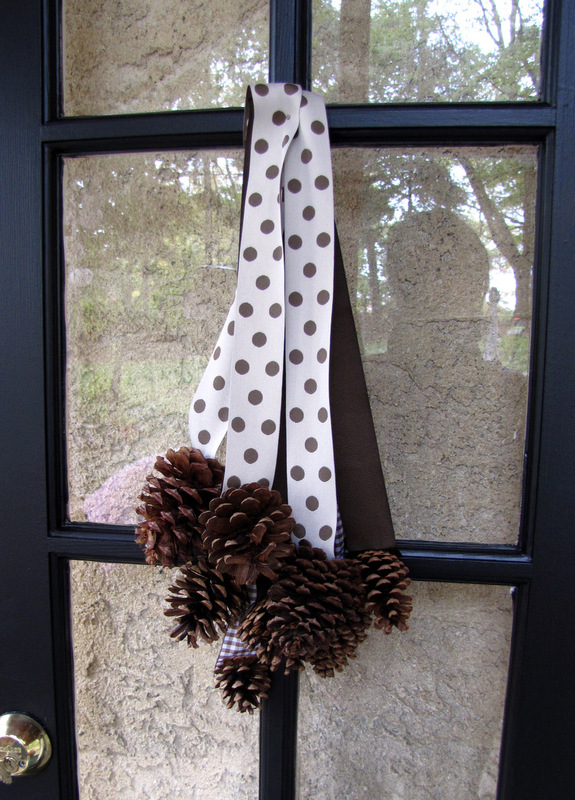 This is a great idea–do you glue the pinecones to the ribbon? Very fun, simple and inexpensive! So cute! I have tons of pinecones this year. I'm so glad you posted this, I might have to do this for our front doors. 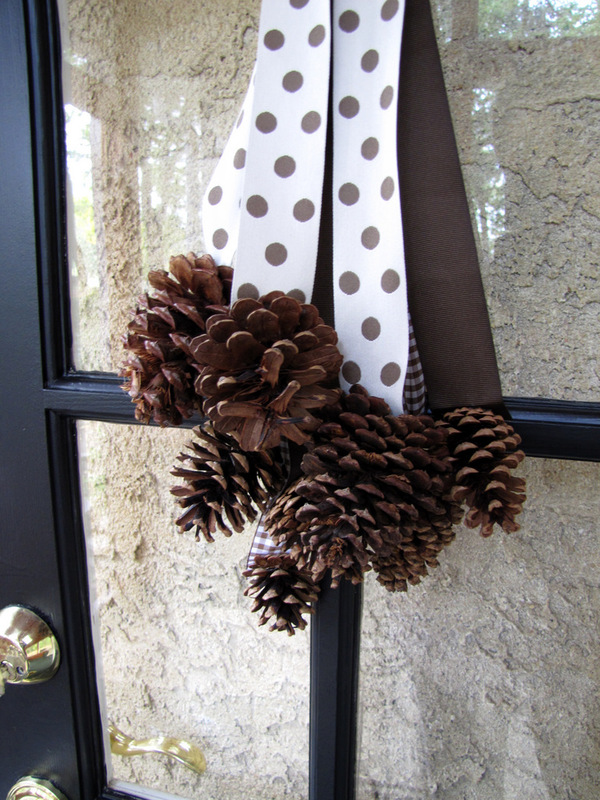 I too love me some good pine cone decor. They may even be taking over my house this season. I'm your newest follower by the way!